The story begins with a widower paper maker Takeo who lives alone and a Korean girl named Yona in Japan on a working holiday. Takeo’s brain tumor causes him to fall, and his caretaking is quite the undertaking! But he is unwilling to open his heart to anyone, and his abusive language is filled with prejudice. A determined Yona refuses to back down, and before long, a change in Takeo starts to take place. Their nationality, generation, and gender are different, but their hearts and souls learn to communicate. A traditional industry that thrives in Fukui Prefecture’s Tannan region and charming traces of the Baekje Period left behind in South Korea’s Buyeo County are both shown on the screen, bringing nostalgic feelings to the viewer’s heart. 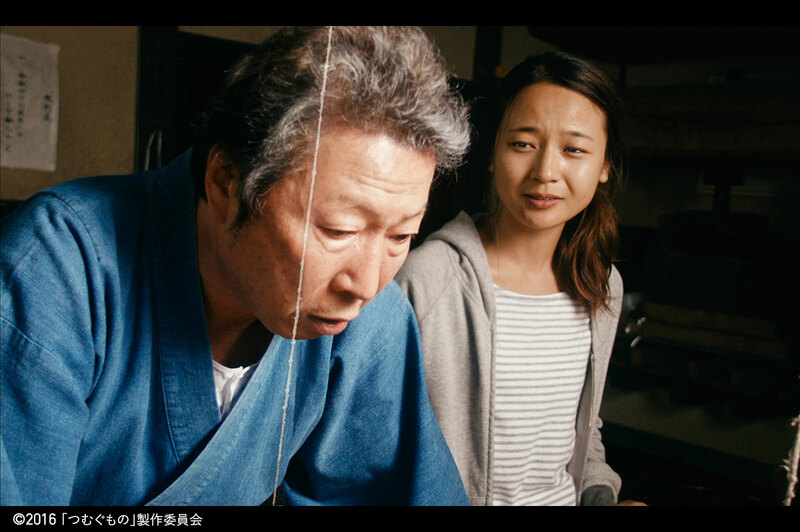 Veteran actor Saburo Ishikura, whose acting career spans 50 years, and Korean actress Kkobbi Kim from the movie Breathless together star in this touching film.